How do I issue a refund for a gift card that's been purchased? 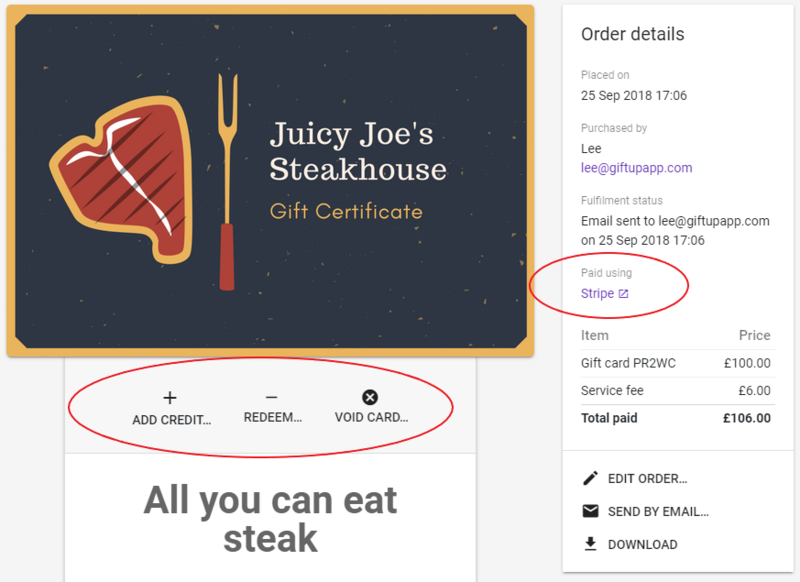 Because payment is sent directly to your attached payment account (Stripe and/or PayPal) you need to issue a refund (in part or in full) in that system and void the gift card in Gift Up! 3. Click the link underneath "Paid using"
Please note that Gift Up! fees are not refunded by voiding or removing credit from a gift card.